As a Melbournian, I treat waiting in line for good food like going to the dentist – a necessary evil to be endured for the greater good. But even I have my limits, and when I turned up at Hawker Chan to find the line 90 minutes long, it became a complete no-go, just like getting 8 fillings done at once. Feeling rather tired and definitely not in the mood for traipsing around the city, trying to find the next greatest thing, I instead opted to head to Bebu for a quiet and comforting Korean meal. 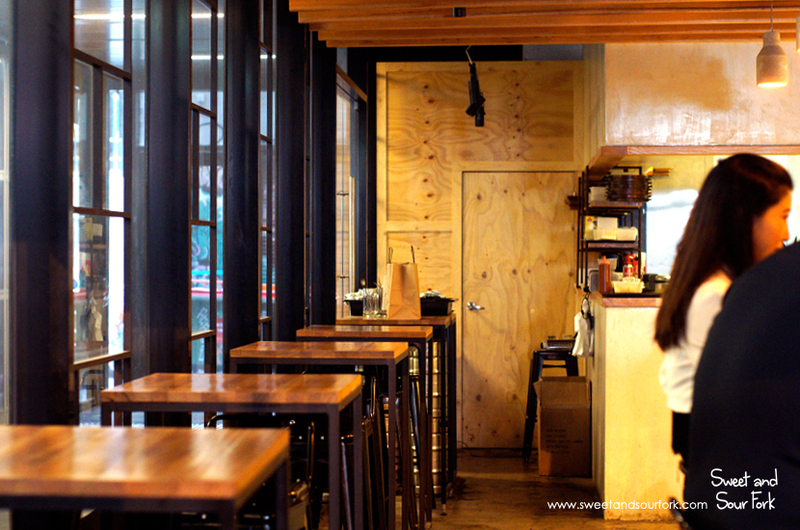 We found Bebu tucked in a little cranny under an apartment block, understated amidst the plethora of Korean restaurants on A’Beckett Street. The atmosphere was cosy and laid-back, the staff appearing by our elbows with a smile if we needed them, but otherwise happy to let us keep to ourselves. One of my favourite memories of my trip to Korea was eating tteokbokki fresh from a street cart, huddled shoulder-to-shoulder with other patrons, trying to avoid the rain dripping from the awnings. 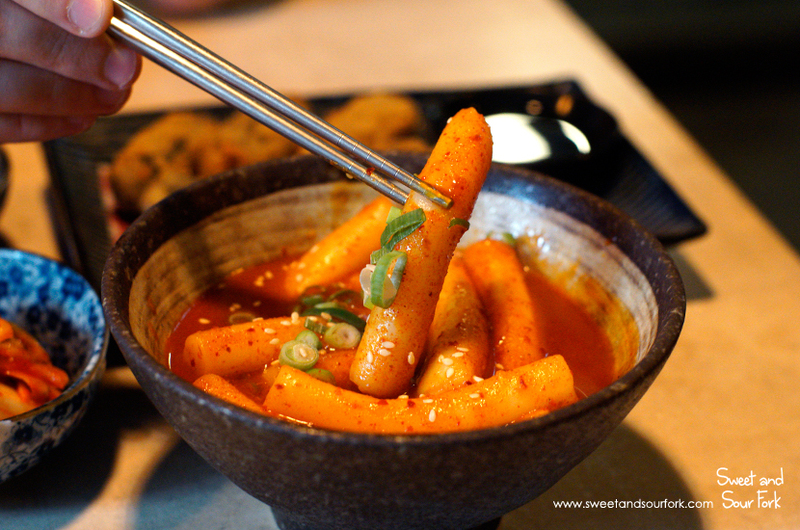 A bowl of Tteokbokki ($9.5) from Bebu bought those memories vividly back, and whilst nothing will ever be quite as delicious as tteokbokki straight from a market cart, these were well worth our time, the rice cakes chewy and fresh, doused in an earthy, spicy-sweet sauce. I’ve never seen Gimmari ($9, 6pcs) anywhere else in Melbourne, so of course I’m all over that biz. 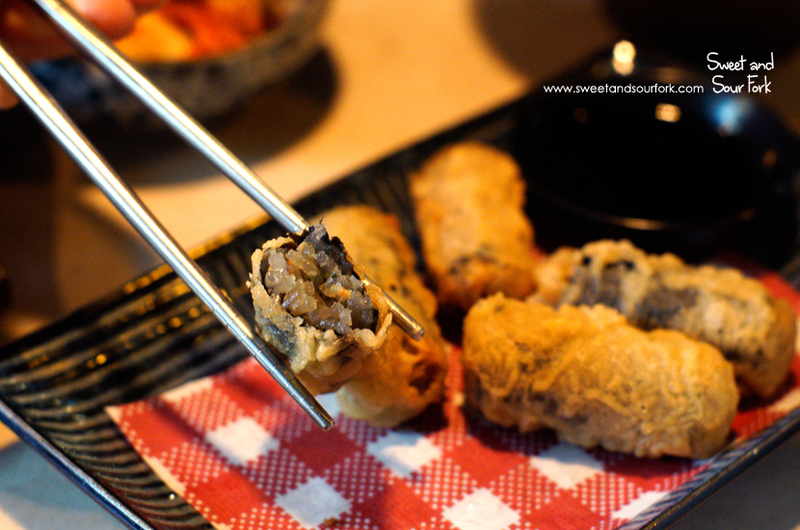 These were super addictive, the crunchy layer of deep-fried seaweed hiding a centre of slippery-smooth sweet potato noodles. These were like spring rolls on steroids, and tasted especially good dipped in the accompanying sweet soy. 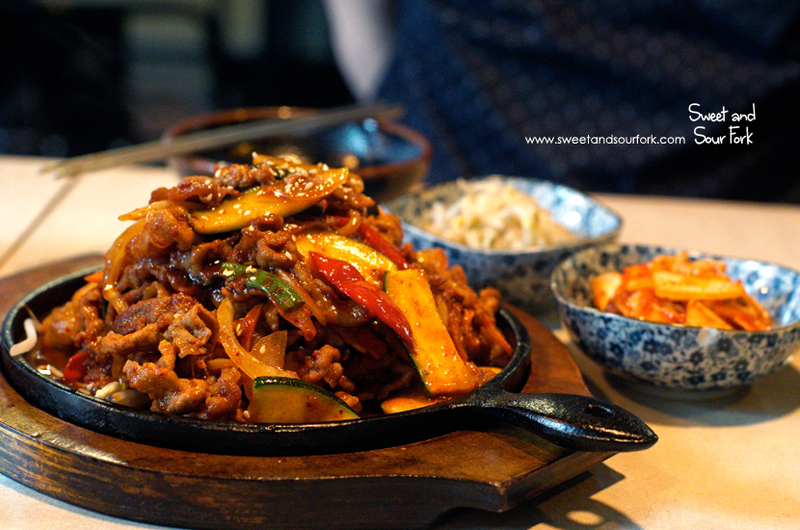 The Pork Bulgogi with Korean Spicy BBQ Sauce ($24.9, large) was a generic, but tasty and generous. The sauce-coated pork belly and veggies went extremely well with a bowl of rice. My only complaint was the poor quality of the banchan; it would’ve been great to intersperse the rich pork with slices of tangy, crunchy kimchi, but unfortunately both it, and the bean sprouts, were very much bland. Although Bebu is nothing amazing, it’s exactly what I needed on the day. It felt like eating at home, except without having to do any of the cooking or the dishes. 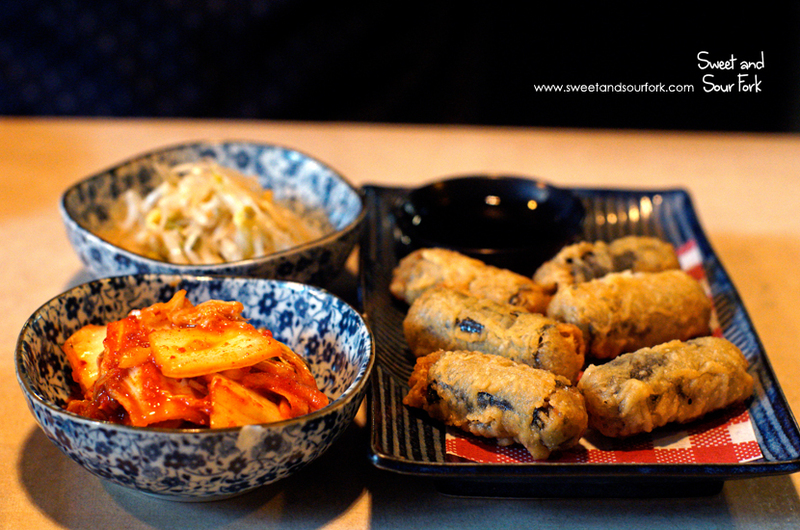 There’s nothing about it that makes it stand out from other Korean restaurants, but nonetheless, it was an enjoyable meal. Rating: 12.5/20 – tastes like home.